Thank you for your patience as we prepare for a different kind of RECALL this year. Our goal is to ensure stability for our children and school staffs as we all return to our school communities, a place of comfort and security to many, following an unsettling few months. School Secretaries and Library Assistants were sent a RECALL notice via email on June 13th, and a reminder on August 10th. School Secretaries-Start Aug 15(including Sec/Lib) Library Assistants-Start Aug 22. *The Employee Connect RECALL paperwork will follow. Student Services, and each school, have been contacting families to determine their intent to return this year. This will enable us to place our Early Learning and 1-1 supports. Budget meetings with each school begin next week. This will allow schools to determine what additional supports can be put in place. We will RECALL staff as soon as we know what positions are available, considering student fit/school needs/EA fit/parent needs and seniority/qualifications/ability to perform the work. 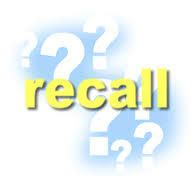 If you have been recently hired and have a low seniority date, please know that RECALL continues until October 15th. We may need to discuss a placement with you, so please watch for phone calls and emails. It has been a very challenging few months for everyone and our hearts go out to you who have lost your homes. I expect we all are looking forward to the comfort of going back to work and being with the children again. Thank you all for your continued support, and patience as we all go through this together.